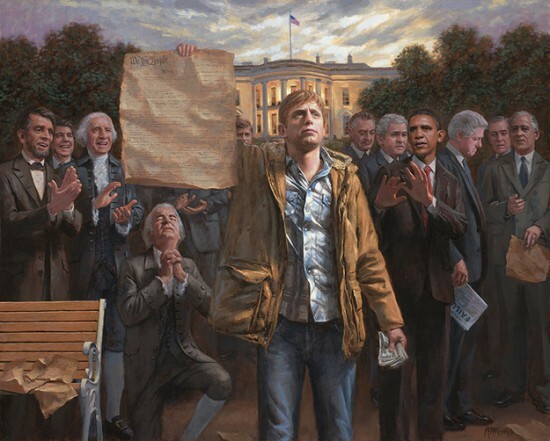 Anti-Obama Artist Releases Latest Piece "The Empowered Man"
Artist Jon McNaughton has a new painting. This may be his best piece of artwork yet. The latest piece follows his dark and forboding “Wake Up America” painting of Americans in chains to the Obama regime.